We are very pleased to be able to offer our clients this fabulous property situated in an exclusive small cul-de-sac near Carvoeiro village centre. Close to the very poplular Areias Dos Moinhos part of Carvoeiro, set in an elevated and spacious plot with quarter of an acre of landscaped grounds, Casa Corr has a feeling of space and calm with sea views from fantastic covered terraces. 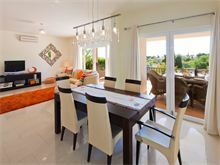 The large gated terraces are accessed from the living, kitchen and dining areas and are totally enclosed and elevated above the pool so offering added security for families and a great spot for evening meals. The enclosed pool terrace is accessed via the garden area which also contains a shaded play area for children, complete with swings. The interior offers plenty of living space and comfort for 8 with all bedrooms en-suite and sea views from the upstairs terraces. 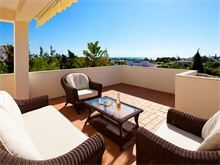 The village centre is a little over a mile away and can be reached on foot making this villa a fantastic choice for those who want to be close to bars, restaurants and beaches yet still have space, comfort and grounds normally associated with more rural properties. Entrance into hall with guest cloakroom, large modern kitchen with dishwasher, microwave and doors to a partly covered terrace with barbecue and a child proof gate leads down steps to the pool with shower. 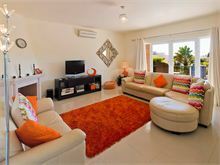 Stylish living area with TV, DVD, CD and music system. 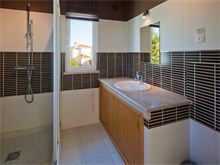 1 double bedroom with shower room en suite and 1 twin bedroom with full bathroom en suite. 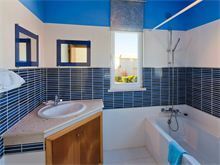 Stairs up to a twin bedroom with full bathroom en suite and sliding doors to a sun terrace with superb sea views and 1 master double bedroom with walk in dressing room and shower room en suite. Sliding doors also lead to the sun terrace. Maid service 3 times per week. 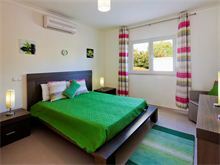 Air conditioning, pool heating and Wi-Fi are available at extra cost, if required. The villa lived up to the website description and more. 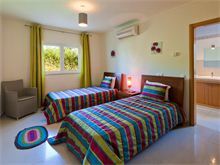 Situated in a quiet area, the facilities are excellent, the pool and surroundings are perfect for adults and children. All equipment is provided and in very good condition and we could not have asked for anything more. 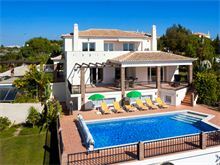 The Villa is in an immaculate condition, very clean and spacious and there are restaurants within reasonable walking distance. This is a nice villa and we enjoyed our stay. The gardens are lovely. The villa has lovely facilities, good wifi, warm pool (we paid for heating but it was well worth it with small children). The outside terrace and BBQ was used daily and helped us feel very relaxed. 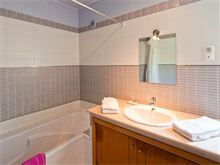 All rooms have ensuite bathrooms and overall well equipped. There is a good supermarket a 5min drive away. The town was about a 25min walk with the kids but was a pleasant enough stroll. Would recommend you hire a car tho as it is out of the centre and helps you explore more of the local area. 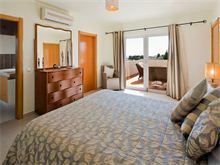 A beautiful and spacious villa set in a quiet area about 20 minutes walk from the centre. Lovely big swimming pool (we had it heated for our stay in october - would recommend) and space for kids to run around outside. Villa secure with gates so feels very safe. The villa was everything we hoped it would be and the house manager was incredibly helpful with a variety of things. 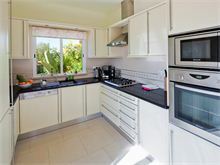 As has been previously said this is a lovely villa, very well equipped and even more spacious than shown on the website. We had a great family holiday with 2 young grandchildren and everyone enjoyed the heated pool. There’s a large play area in the garden for children and lots of space for everybody to have their own space too. 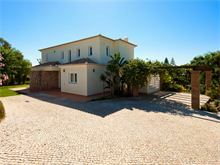 This is a lovely villa on a large plot well screened from neighbours. 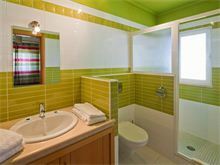 The rooms are spacious and the bathroom and kitchen facilities of a high standard and include 'power' shower water flow. Excellent villa with everything we could wish for. Another excellent holiday with Affinity. 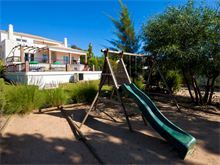 Casa Corr is a lovely villa in a quiet residential area but very convenient for Carvoeiro and a short drive to beautiful beaches. The House Manager, is so helpful, sorting any little problems out quickly and efficiently. Our daughter, son-in-law and 2 year old granddaughter spent 10 days with us and we all loved the warm pool. I especially loved the shady hammock and my husband loved the upstairs terrace which got really hot. With so many areas to sit you could always find the perfect spot. Will definitely book again. Family of 5 stayed at this lovely villa. Great location, not overlooked, fantastic pool and grounds.Loads of space inside and out, 5 min drive from centre or supermarket. Thank you Affinity Villas.